Click here for updated dynasty defensive back rankings. 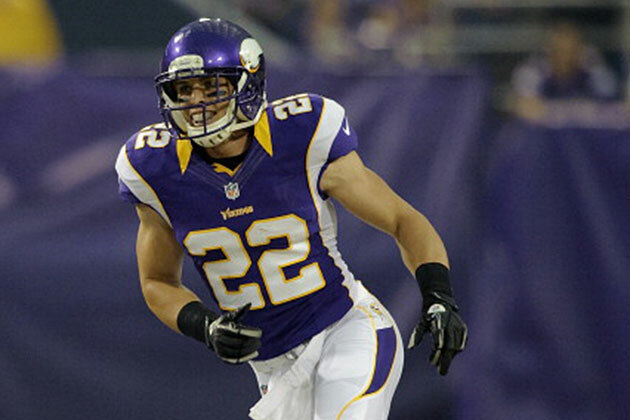 A new top five with Harrison Smith heading up the list; Eric Berry follows with Morgan Burnett, Mark Barron and Earl Thomas behind. Rookies new to the list include Calvin Pryor at 18; Deone Bucannon at 21; Ha Ha Clinton-Dix at 28; and Dezmen Southward at 37. Click here for updated dynasty DB rankings. Top of the list remains the same with Packers safety Morgan Burnett and Vikings safety Harrison Smith claiming the top two spots. The big risers include Cowboys safety Barry Church making an appearance in the top 10. Rams safety T.J. McDonald should also see more action in his second year. The big drops include Seahawks safety Kam Chancellor for no other reason other than there’s just a ton of talent around him. Lions safety Glover Quin also drops. Quin has never had a 100-plus tackle season and the Lions big area of need is their secondary. Steer clear. Why are safeties are better than corners in fantasy? Looking at the latest DB rankings for dynasty, you’ll see safeties take the top 1o spots. This is similar to the DL rankings that put ends at the top of the list over interior linemen. But why is that? If you were to look at the top tackling DB’s last year, you’d find a safety-heavy list with only three corners in the top 20. In fact, there’s no more than four corners in the top 20 for years and there were none in 2009. The fact is, tackles are the most consistent stats when looking at DB’s so it’s best to rank them by that. Plus, even if tackles are 1 point in your league while interceptions are 4, you’d still be better served drafting a tackling machine like Morgan Burnett who’s had 230 tackles over the last two years. Tackles are just more common than interceptions and happen at a higher ratio than the tackle/interception point ratio in most, if not all, dynasty leagues. But why do safeties have way more tackles? Inherently, they’re the safety valve of the defense. They are there to prevent plays from going 10, 15, 20 yards. Corners, good corners anyway, are there to prevent the receivers from even catching the ball. That’s why corners will never have high tackle numbers if they’re picking passes off. The top six leaders in interceptions last year had 60-76-64-55-76-53 tackles respectively. Plus, corners are relegated to one side of the field while the safeties cover much more ground on any given play. They’re instinctively playing the ball while the corners have specific assignments. Bottom line – get a safety as your DB1. Only if you’ve got that locked up would I even consider drafting a corner.